1st motion picture shown to a theater audience, Philadelphia. Bijou Theatre, Philadelphia, PA. Source: Philadelphia Buildings. The first public showing of a motion picture (perhaps the first in the world) occurred in Philadelphia at B.F. Keith’s Bijou Theatre at 209 North 8th Street in 1895. These films were brief silent experiments of the moving image. Within a year, this new form of entertainment was regularly shown at the Bijou. The 1,200 seat theater was built as a variety theatre in 1889 to the designs of New York theater architect John Baily McElfatrick. 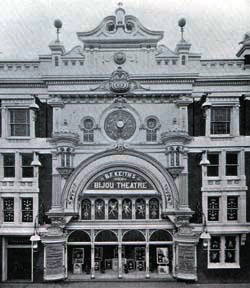 The Bijou was at the heart of a long-vanished theater district along 8th Street, now home to the Gallery Mall, Police Headquarters, and the former Metropolitan Hospital. Benjamin Franklin Keith (January 26, 1846 – March 26, 1914) was an American vaudeville theater owner, highly influential in the evolution of variety theater into vaudeville. 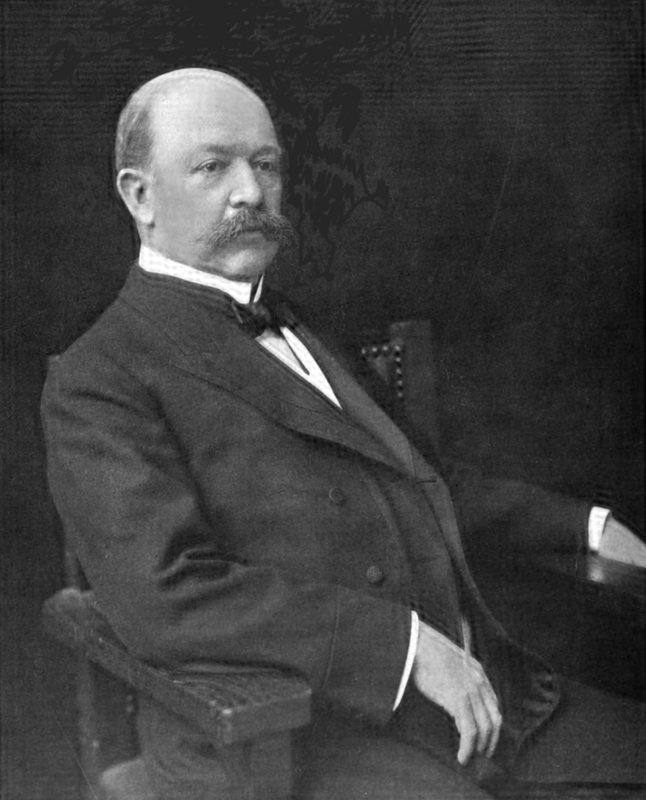 Benjamin Franklin Keith (1846–1914). Source: Wikipedia. Click to enlarge. 1st Charlie Chaplin talkie, “Modern Times,” released. 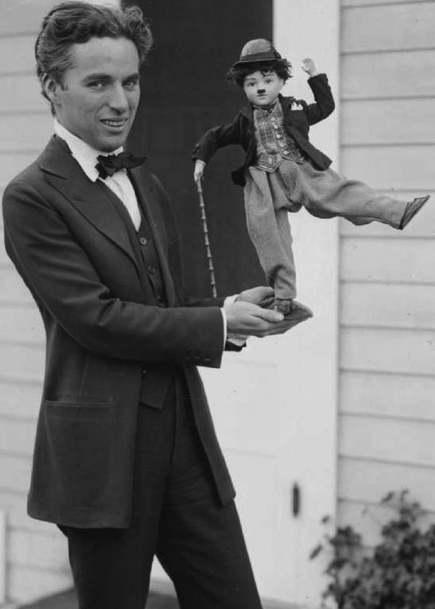 By 1916, Chaplin was a global phenomenon. Here he shows off some of his merchandise, c. 1918. By 1916, Chaplin was a global phenomenon. Here he shows off some of his merchandise, c. 1918. Source: Wikipedia. Click to enlarge. “Peter Pan” by Walt Disney opens at Roxy Theater, NYC. You are currently reading On This Day: February 5 at IvyU.